Along with Trudy Stiles, we are very excited to share with you the Cover to Dear Tabitha, the 2nd book in The Forever Family Series. 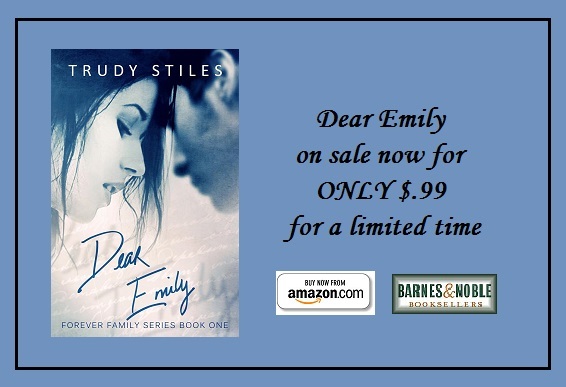 If you have not read Dear Emily (Book #1) yet, now is the time to grab it while it is on sale for ONLY $.99 in celebration of the Cover Reveal. Make sure to check out the beautiful cover, add to your Goodreads, join the Facebook Release and Tour Event and enter the GIVEAWAY below! You try to understand what I’ve been through and how I can possibly go on with my life. But you can’t possibly understand. 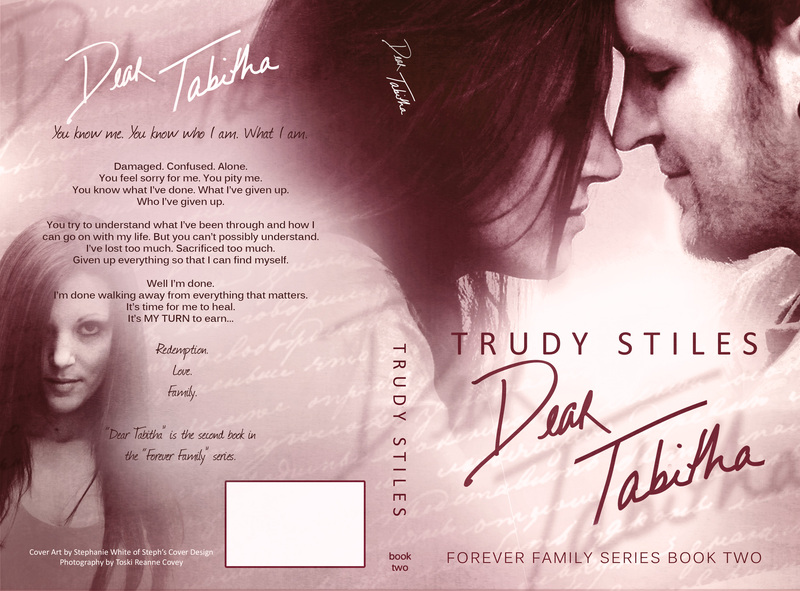 “Dear Tabitha” is the second book in the “Forever Family” series. Two women. Carly & Tabitha. Both have suffered life-altering events that have left them both traumatically damaged. Carly Sloan’s life was perfect until the night her security and innocence was torn from her. The vast repercussions from that horrific night threaten to destroy her stability and her chances for a happily ever after. Kyle Finnegan comes into Carly’s life at the height of her turmoil. Can he help her find what she desires most? Tabitha Fletcher, on the other hand, has suffered from a very young age. 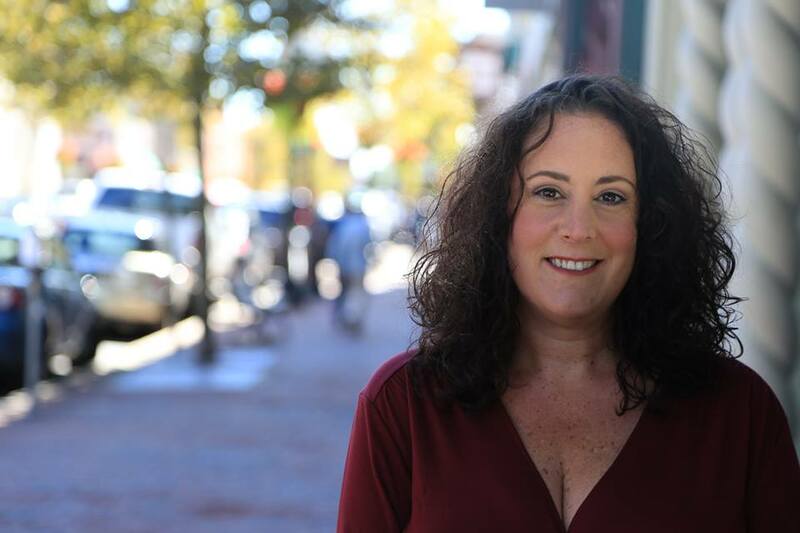 She has been hiding from her past, which was full of abuse, loss and turmoil. She has been so brutally damaged that she has very little hope of redemption. The revolving door of men only leads her deeper into misery. What circumstance brings these two women together unexpectedly and can they help each other heal? And will they each find what they need? This first story is called “Dear Emily” and was released in December 2013. 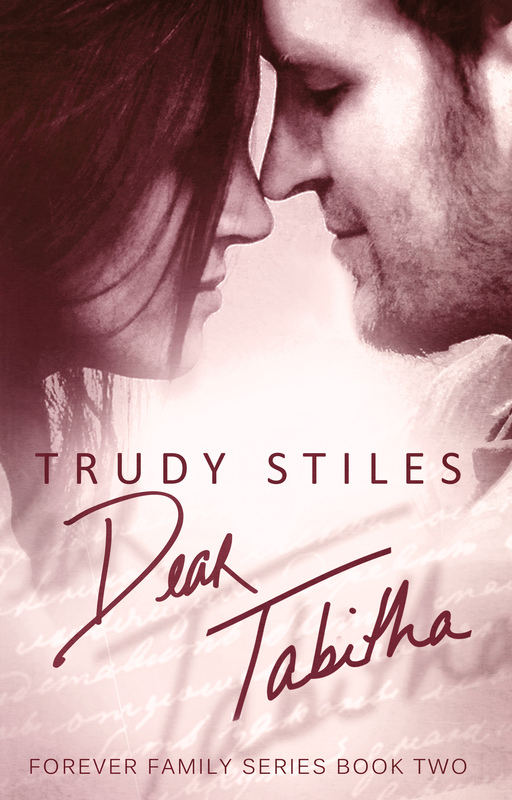 “Dear Tabitha” will be released in March 2014. The Forever Family series will continue with several companion/stand alone novels.